I love, love, love guacamole! I swear, I think I could eat it ever day! We make it a couple times a week here, but have a bit of a problem keeping it from turning brown. See, when air hits avocado, it turns it brown. That doesn’t necessarily mean that it is bad, just not really appetizing to look at. So, we have tried squeezing lemon juice on top, and it has worked a little bit. We have also tried covering it completely with plastic wrap, but it leaves a weird pattern on the guac and it still turns brown in some places! 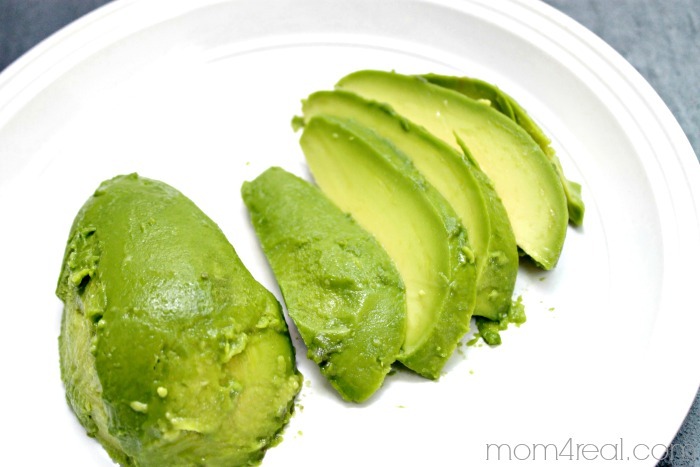 Well, I finally found a way to keep guacamole from turning brown, and it’s so easy, it’s sinful! 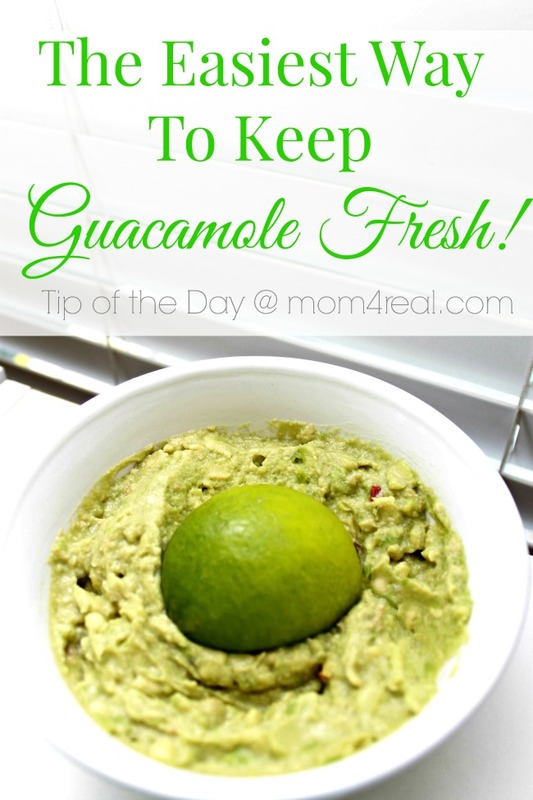 You simply place 1/2 of a lime face down in your guacamole before storing it, and it will stay green! I use lime juice in my guacamole recipe any way, so I just squeeze the lime juice out and save that half of the lime and use it. I like my guac cold, so I usually make it the day before and eat it the next day. Now my guacamole is nice and green and fresh looking! YAY! 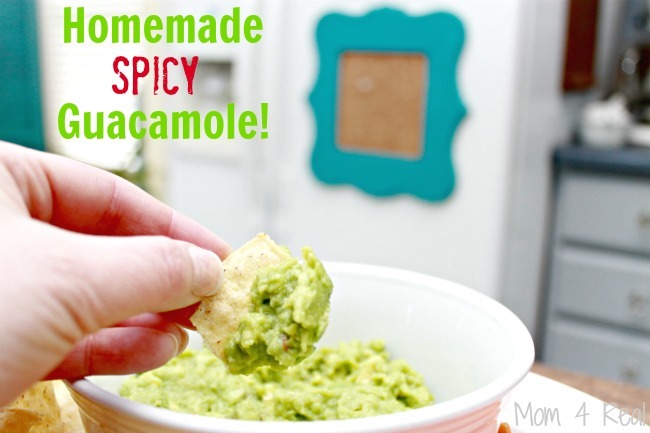 You can try my daughter Kate’s amazing Spicy Guacamole Recipe! 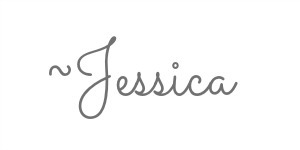 And while we are sharing all things avocado, you may as well check out my post on The Easiest Way To Slice An Avocado! « 3 Fun Ways To Enjoy Iced Coffee This Summer! 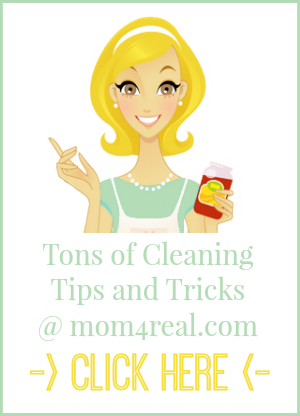 I appreciate all of your cleaning tips and love, love them. My only question is how do you get rid of the residue that it leaves behind. It is sort of oily . I clean with Windex and as soon as it stays its back. I used alcohol etc, but it comes back. What am I doing wrong. Please help. Thanks.